A group of Israeli settlers led by the extremist rabbi Yehuda Glick stormed on Wednesday al-Aqsa Mosque from the Magareba Gate under Israeli police protection. 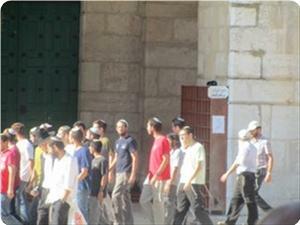 SAFA News Agency quoted a statement by the Aqsa Foundation for Endowment and Heritage as saying that more than 20 Israeli settlers broke into al-Aqsa Mosque since the early morning hours under police protection. Israeli police intensified their presence at Aqsa Mosque and checked the worshipers’ identity cards before their access to the mosque. Hundreds of worshipers started shouting Takbeer in protest against the settlers’ attack. Aqsa Foundation warned of Israeli settlers’ escalated break-ins into al-Aqsa Mosque, while Palestinian worshipers are still banned from having access to the holy site. The Foundation stressed the importance of intensifying Palestinian presence in the mosque, calling on the Islamic Nation to act in defense of al-Aqsa mosque. In its report documenting Israeli settlers’ attacks against al-Aqsa Mosque, the Foundation said that 2134 Israelis stormed the mosque during June including 1859 settlers, 128 intelligence officers, 147 Israeli soldiers. Witnesses told Ma'an that a settler from Nof Zion settlement near the Jabal al-Mukabbir neighborhood shot at a group of Palestinian youths while they were standing in front of a grocery store. While shooting, the settler shouted at the Palestinians to "leave," locals said. Israelis also "formed a chain at the entrance of the neighborhood from both sides, and some were armed." Witnesses said police arrived at the scene and dispersed the Israelis. A number of Palestinians went to the Jabal al-Mukabbir police station to report the incident. An Israeli police spokesman did not answer calls seeking information. Over the past week, since the bodies of three Israeli settlers were found by police near Hebron, the streets of Jerusalem and areas near Israeli settlements in the West Bank have become ‘no go’ zones for Palestinian civilians, as mobs of angry Israelis roam the streets attacking random civilians. On the night of Monday June 30th, in two separate incidents, Israeli settlers in Hebron marched through the streets and wounded 19-year old Sajed Sultan in the head. In Bethlehem the same night, an Israeli settler intentionally hit Sanabel Attous, age 9, with his car, then drove away, leaving her critically wounded in a ditch. Israeli leaders and officials stepped up the anti-Palestinian statements that had begun nearly 3 weeks before when the settlers disappeared. On June 30th, former Israeli Knesset (Parliament) member posted a video Monday called Palestinian children “little terrorists”, and called for “Death to the enemy, evacuation, and wiping off of [their] smile”, according to a translation by the Electronic Intifada. A number of attacks took place late Monday night in Jerusalem, after groups of right-wing Israelis took to the streets chanting ‘Death to Arabs’. 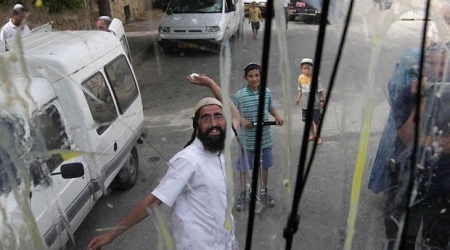 In one incident, a number of settlers assaulted a Palestinian taxi driver, spraying pepper gas into his face. He was taken to a hospital, following the incident. On Tuesday, July 1st, according to witnesses, a Palestinian child escaped a kidnapping attempt by a settler in Jerusalem. Apparently, the settler attempted to force the child into his car in Shu'fat, outside of Jerusalem, where residents managed to pry him out of the setter’s hands. The child was transferred to the hospital for treatment. A group of right-wing Israelis abducted 16-year old Mohammed Abu Khdeir from outside a mosque, took him to an isolated area, beat him and lit him on fire. The 16-year old burned to death, and his body was discovered by police several hours later. The death of Abu Khdeir set off protests across Jerusalem, and Israeli police responded with lethal and less-than-lethal weapons, wounding 212 Palestinians between Wednesday the 2nd and Thursday the 3rd. Also Wednesday, Israeli settlers set fire, today, to an agricultural barrack on a sheep farm located in the provincial village of Aqraba, south of Nablus. On Thursday, July 3rd, 15-year old U.S. citizen Tariq Abu Khdeir from Tampa, Florida, the cousin of the 16-year old who had been brutally murdered the previous day, was grabbed by Israeli officers and beaten badly, in an attack that was captured on tape and garnered worldwide attention. In the village of Osrin, on Thursday, a Palestinian youth named Zeyad Adili, age 22, was admitted to a hospital with injuries nearly leading to the amputation of his leg, after Israeli settlers attacked him with an axe and tried to cut off his leg, south of Nablus. Also Thursday, a group of Israeli settlers led by mayor of the illegal Ma’ale Adumim settlement, Benny Kashriel, set up a tent in Area E1, between the settlement and Jerusalem. Mayor Kashriel requested that Israeli authorities build new settlement units in the area, in response to the deaths of the three Israeli settlers. Construction in E1 is very controversial, as the construction of settlements in this region will create a physical link between Ma'ale Adumim and Jerusalem, dividing East Jerusalem from the rest of the West Bank and its Palestinian population centers. On Friday July 4th, dozens of settlers installed four mobile homes on Palestinian lands, east of Teqoua’. In Surif, near Hebron, a number of settlers installed mobile homes, west of the town. And Israeli settlers placed mobile homes on locally-owned land adjacent to Roman, to facilitate its expansion. Also on Friday, to the east of Bethlehem, a Palestinian teenager ‘Ala ‘Abayyat, 17, was run over by an Israeli settler near Kisan. On Saturday, July 5th, a number of settlers from the illegal Kiryat Arba settlement, east of Hebron, attacked a defenseless 30-year-old Palestinian man, severely wounding him throughout his body. In Ya‘bad, to the southwest of Jenin, Israeli settlers from Mabo Dothan and Harmish, also illegal settlements, invaded the entrance of the city, where they burned tires. They then infiltrated nearby agricultural lands. Under the protection of Israeli forces, they drove their cars along Ya‘bad and Kfiret junction in a provocative manner, hoisting Israeli flags and chanting racist slogans, according to WAFA. Forces set up a roadblock at the entrance of Ya‘bad, preventing villagers from travelling in and out of the village. Also on Saturday, Israeli settlers paved a bypass road on Palestinian-owned land in Taqou‘, east of Bethlehem. In addition, settlers began planting on Palestinian land near the outpost of Roman, with the intention of completely taking it over. On Monday, July 7th, Palestinian villagers in al-Bathan and al-Naqura confronted Israeli settlers as they tried to storm the two villages. In a separate incident, armed Israel settlers attempted to kidnap a Palestinian child, after chasing him for more than a kilometer along a road near Hebron. A similar report has surfaced in Beit Sahour, near Bethlehem. The settler attacks against Palestinians are continuing at the time of this article. It should be noted that during the past week of Israeli settler and military attacks against Palestinians, no Israelis have been wounded. Seven Palestinians have been killed in the past week. Several armed Israel settlers have attempted to kidnap a Palestinian child, after chasing him for more than a kilometer along a road near Hebron. A similar report has surfaced in Beit Sahour, near Bethlehem. Al-Haq human rights organization has issued a statement, via press release, regarding the nature of the recent settler attacks as they relate to illegal Israeli settlement policies. According to WAFA Palestinian News & Info Agency, Coordinator of the Anti-wall and Settlement Popular Committee, Ratib Jabour, said that armed settlers chased Hani Al-Ka‘abna, 14, in a car along a rugged road in Al-Ka‘abna, to the east of Yatta, in an attempt to kidnap him. The boy, fortunately, managed to escape. Near Bethlehem, a number of settlers driving an Israeli vehicle into Beit Sahour attempted to kidnap a Palestinian child. The attempted abduction took place near the YMCA Center, in Beit Sahour. The boy has been identified as one Ramadan Rayya, 17 years of age. Al-Haq human rights organization stated on Monday, as well, that Israel's illegal settlement policy is the main cause of the hostile environment that puts civilians, both Israeli and Palestinian, at risk. On the morning of Wednesday 2 July 2014, 16-year-old Muhammad Hussein Abu Khdeir was abducted from a street near his home in Shu'fat in occupied East Jerusalem. His charred body was later found in the village of Deir Yassin, Jerusalem. This incident follows the finding of the bodies of three young Israeli settlers on 30 June 2014 and subsequent calls for revenge against Palestinians. Since 12 June the Israeli government has initiated a campaign of collective punishment, including mass arrests, movement restrictions, and punitive house demolitions. During this period seven Palestinians have also been killed by live fire in the West Bank by Israeli forces. Al-Haq condemns any loss of civilian life and calls for accountability irrespective of the perpetrators involved. Al-Haq is extremely concerned that the Palestinian civilian population will face increased attacks by Israeli settlers who illegally reside in occupied territory and enjoy institutionalized impunity. As an occupying power Israel has a responsibility under IHL and IHRL to ensure protection of the Palestinian civilian population under its control. The illegal Israeli settlement policy of transferring Israeli civilians into occupied territory is directly responsible for creating a hostile environment that puts civilians, both Israeli and Palestinian, in harm's way. The events of the preceding weeks provide a glimpse into a bleak future with continued settlement expansion. The international community must act to end a settlement policy that violates international law in order to prevent a further deterioration of the situation on the ground and protect civilian life. The village of Einabus lies approximately 10 km south of Nablus, in the northern half of the West Bank. The illegal settlement of Yizar is located just up the hill from the village. In the evening of Monday, July 6th, ten to twelve settlers descended from the settlement and attacked a house in the village. According to witnesses, at least two of them were carrying rifles, and the rest were armed with stones. Their target was the house of an inhabitant named Saleh, who had died the previous day and whose family was in mourning. In keeping with tradition, only women and children were staying in the house, since the three day mourning period had not yet passed. Young men from the village were able to chase away the settlers. They called the District Coordination Office, and the army entered the village, but by that time the settlers had vanished. In Nablus, today, Palestinian villagers in al-Bathan and al-Naqura confronted Israeli settlers as they tried to storm the two villages. 6,000 Palestinians are currently being detained in Israeli prisons, while 24 at Hawara are suffering food poisoning. Citizens said, according to Al Ray, that settlers attacked the village of al-Bathan, this morning at dawn, and headed towards the parks area to perform rituals, but young men of the village confronted them, forcing them to leave. Several Israeli settlers from the illeagal Shafi Shomron settlement, as well, attmepted to invade the village of al-Naqura. Villagers released warnings of their presence, Al Ray reports, calling on citizens to walk in groups, especially before sunrise, in order to avoid settler attacks. Confrontations also erupted last night between Israeli settlers and Palestinian citizens of Eynabus, to the south of Nablus, after the settlers stormed the village and assaulted its citizens. According to the Alternative Information Center, in Beit Sahour, a number of Palestinians threw Molotov cocktails at Joseph's Tomb in Nablus, late Sunday, before being dispersed by Palestinian Authority security personnel. While the site is under Israeli control, AIC reports, the Israeli army evacuated the premises in October of 2000, shortly after the start of the second intifada. Jewish groups frequently visit the under the protection of Israeli forces, who deploy heavily in the area. Clashes with youth from the neighboring Balata refugee camp are frequently reported. Abdul-Nasser Ferwana, Head of the Census Department at the Palestinian Ministry of Detainees, has said that the number of the Palestinian detainees in Israeli prisons has risen significantly, in recent weeks, reaching 6,000 according to recent statistics. In a statement on Monday, Ferwana pointed out that the figure is likely due of the escalation of Israeli attacks and the ongoing arrest campaigns across the West Bank and Jerusalem. 477 prisoners are serving life sentences, 17 are females, more than 350 are children under the age of 18 and 370 are administrative detainees, held without charge or hope for trial. Israeli forces have arrested 12 MPs in the latest West Bank arrest campaigns, raising the number of detained MPs to 23. 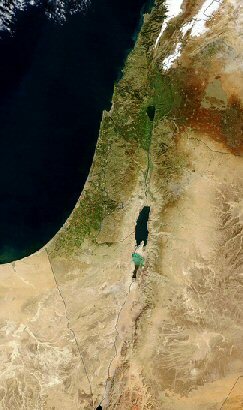 Ferwana has called on all Palestinians to cooperate and stand united in putting pressure on the international community and relevant institutions, to shoulder its responsibilities and to use all available means and potentials in obliging the Israeli state to comply with their signatory agreements under the international law. Sunday evening, Israeli police detained 110 Palestinian citizens during demonstrations held in the pre-1948 Palestine, in protest over the killing of Jerusalemite child Muhammad Abu Khdeir, who was abducted, tortured and burned alive by Israeli settlers, last week. Furthermore, according to WAFA, Palestinian Prisoners Club lawyer Annan Khadr has stated that 24 Palestinian prisoners at Israeli 'Hawara' jail were poisoned after they were given expired food by the prison administration. Even though administration was informed of the incident, prisoners were not provided with the necessary treatment and have suffered severe abdominal pain and diarrhea for two days in a row. 'Hawara' jail is known to be one of the worst detention centers, and is described by detainees as not fit for human beings. A Palestinian journalist and a young Palestinian woman were wounded after two Israeli extremists attacked them near Damascus Gate in Jerusalem on Monday. 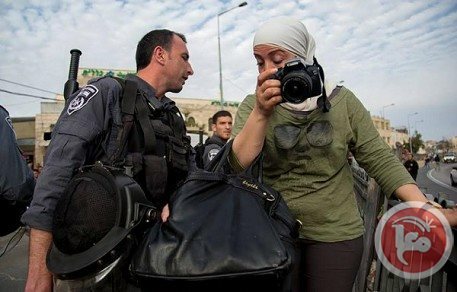 Journalist Nuha Musleh told Ma’an she was interviewing a young woman from Jerusalem with another journalist when she was hit with a big rock on her shoulder, which caused her to suffer from bruises and lose consciousness. The young woman with her was also hit. Musleh added that Palestinians in the area chased down the perpetrators, who tried to flee, but were caught and transferred to the Salauddin street police department. She said that she was still at the police station giving her statement. Israeli settlers attacked on Monday a Palestinian worker from Yatta town in al-Khalil while in his work place in 1948 occupied Palestine. He suffered moderate injuries. Amjed Abu Eid, 43, was transferred to hospital after being beaten with an iron pipe by the settlers, activist Rateb Jabour told the PIC reporter. Jabour added that Israeli settlers have noticeably stepped up their attacks against Palestinians. Protests continued throughout occupied Palestine following the killing of Palestinian teen Mohamed Abu Khdeir at the hands of Israeli settlers. The video was shot last night by Ronnie Barkan in Jerusalem. 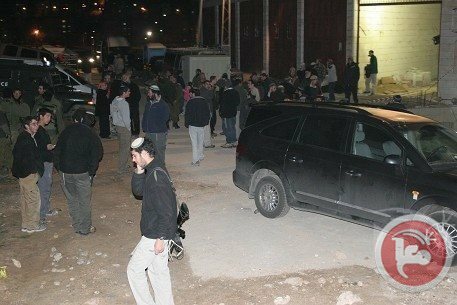 On Monday at dawn, residents of Deir Nitham village, north of the West Bank city of Ramallah, managed to prevent dozens of fanatic Israeli settlers from invading their village, after the settlers caused damage to several Palestinian cars. Local sources said Israeli soldiers were deployed close to the settlers, but did not even attempt to stop them. The settlers, who came from Halmish illegal settlement, hurled stones at several Palestinian cars, causing excessive damage. Clashes took place between the invading settlers and local youth who threw stones and empty bottles at them, while the army fired gas bombs, rubber-coated metal bullets, and rounds of live ammunition. The settlers also fired rounds of live ammunition at the residents. The attack against the village came just one day after fanatic Israeli settlers tried to invade Nabi Saleh nearby village, but were met by local youth who clashed with them; several Palestinians were injured, and the invading settlers fled the area. 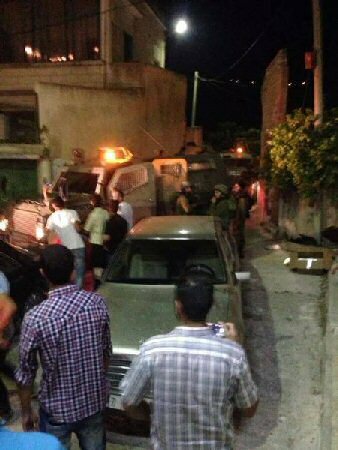 Also in Ramallah, dozens of soldiers invaded Hizma village, and clashed with dozens of local youth. The soldiers fired dozens of concussion grenades, gas bombs, rounds of live ammunition and rubber-coated metal bullets. 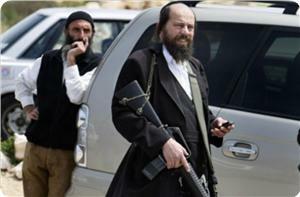 Settlers attacked Palestinian villagers in Ramallah and Nablus late Sunday and early Monday, locals said. Witnesses told Ma'an that settlers began hurling stones at Palestinian vehicles traveling near the illegal Halamish settlement, located opposite the village of Deir Nidam. Dozens of settlers from Yizhar raided raided the village and attempted to attack houses, but were chased away by villagers. Clashes broke out between scores of angered Palestinians and Israeli security forces inside Israel and the West Bank on Sunday following the killing of two Palestinians after they were run over by an Israeli man, Israeli police said. 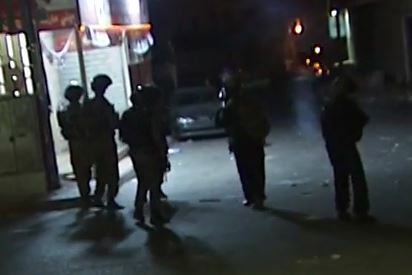 Thus far, 14 Palestinians have been arrested during confrontations with Israeli security forces in the northern Tamra city, according to a statement by the Israeli police Sunday evening. 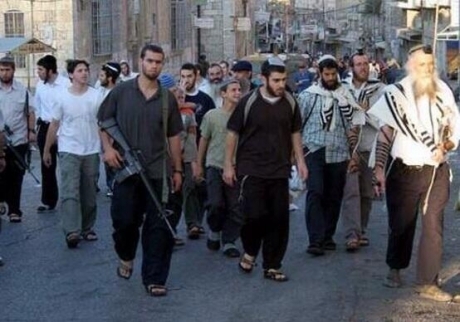 Clashes also erupted in the towns of Nazareth as well as the West Bank towns of Abu Deis and al-Eizariya – the latter two lie adjacent to Jerusalem, according to the statement which was broadcast on Israeli radio. Ten thousand Israeli policemen have been deployed to the flashpoint areas, the statement added. Two Palestinians were killed Sunday when an Israeli man ran them over with his vehicle in northern Israel's Haifa city, eyewitnesses said, as tensions continue in the occupied territories. The two Palestinians were run over by a Jewish settler after they had pulled over on a highway near Haifa to check an apparent malfunction in their own vehicle, according to Israeli police's statement, which said investigation with the settler is underway. The two slain Palestinians, named Sobhi Abu Hamed and Anwar Astal, come from the West Bank cities of Qalqiliya and Tulkarm. It is unclear whether the killings were intentional. However, the incident comes amid a wave of anger in the occupied territories after the family of 16-year-oldPalestinian Mohamed Abu Khdeer said Israeli settlers had kidnapped and murdered him from in East Jerusalem this week. Jerusalem in a suspected "revenge" attack by Jewish settlers for the recent killing of three Israeli teenagers who went missing from a West Bank settlement. Preliminary autopsy report showed that Mohamed had been burnt alive by his kidnappers. Footage taken from a security camera near his Jerusalem home showed what appeared to be Jewish settlers abducting the boy. In the footage, the kidnappers can be seen forcing him into their car before speeding off. Tensions have already ridden the Palestinian territories since three Israeli settlers who went missing in June were found dead last week near the West Bank city of Hebron. In the three weeks since the settlers' initial disappearance, Israel has rounded up hundreds of West Bank Palestinians, including lawmakers, former cabinet ministers and members of Gaza-based Hamas movement which Israel has accused of abducting and killing the trio. No Palestinian group has claimed responsibility for the settlers' disappearance or subsequent death.